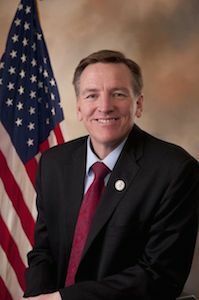 U.S. Rep. Paul A. Gosar (R-AZ) recently lauded his colleagues in the House for voting affirmatively on five amendments that he introduced for H.R. 5055, the Energy and Water Development and Related Agencies Appropriations Act for Fiscal Year 2017. Gosar’s amendments provide for the defunding of the Social Cost of Carbon models, the Climate Model Development and Validation Program, the 21st Century Clean Transportation Plan and the removal of federal dams. Additionally, the initiatives prioritize funding for investigations that must be completed for Army Corps of Engineers projects and for the investigation budget of a Corps’ project in Gosar’s home state. Want to get notified whenever we write about U.S. Representative Paul Gosar (AZ-4) ? Next time we write about U.S. Representative Paul Gosar (AZ-4), we'll email you a link to the story. You may edit your settings or unsubscribe at any time.